Hard boiled egg, stuffed with roasted jalapeño hummus topped with a slice of jalapeño. Whey protein packed almond butter balls with coconut flakes, honey, and chocolate chips. Old school egg salad with our healthy twist. Greek yogurt based with celery, onions, pickle relish and a touch of dill. Baked chicken tossed in healthy greek yogurt with celery, green onions, apples, walnuts and dried cranberries. Lean ground turkey sauteed with carrots, onions, and water chestnut. 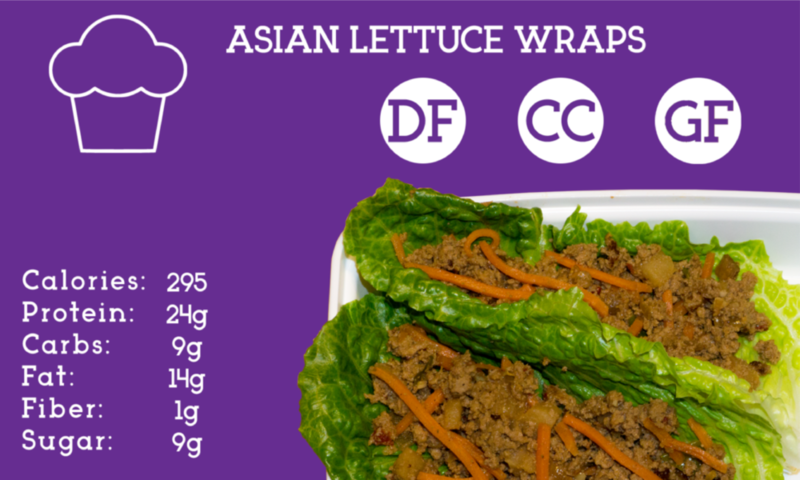 Finished with GF amino soy sauce and served with lettuce wrap. A new snack. Crimini mushroom caps stuffed with lemon turkey and a bit of cream cheese.